We have gone to Kolob Canyon many times. We especially like it in the winter. The red rock against the blue sky and greenery look spectacular. There is a short hike from the parking lot that ends at a panoramic view of Zion National Park. 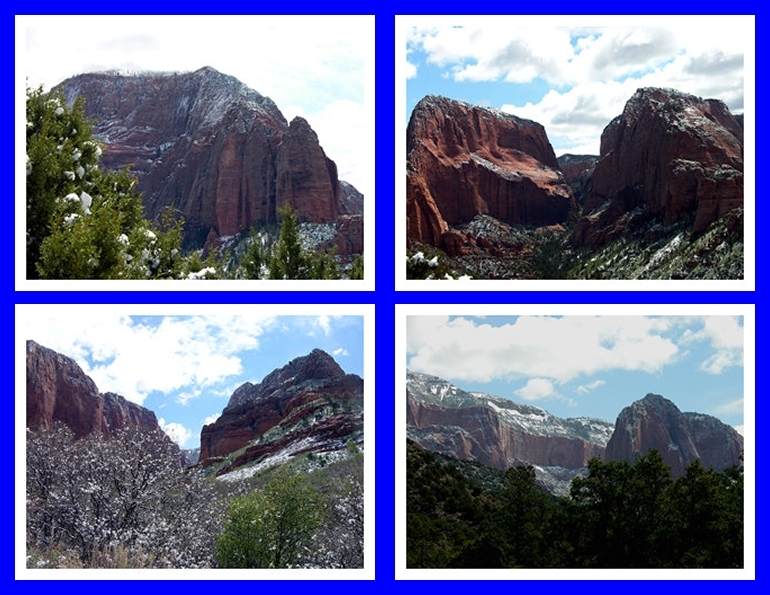 Kolob Canyon is actually part of Zion National Park, but has a separate entrance off the I-15 Freeway.